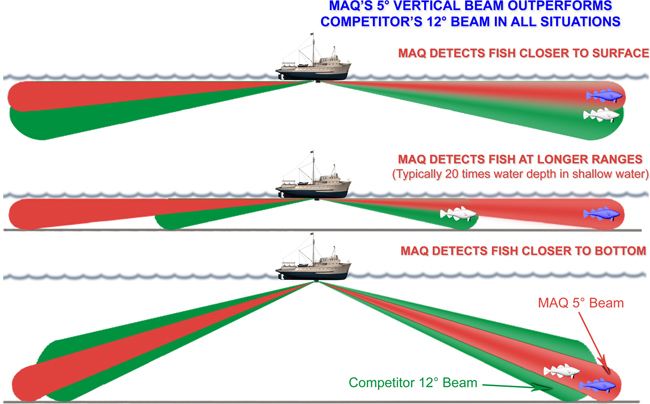 Often MAQ Sonar is asked “what is the best Sonar for Tuna?” or “what is the best for Sardine?” While there is a need to have Sonar with the correct frequency to detect one species of fish better than another there are other variables which should be considered before making a decision. The lower the frequency of Sonar the further the detection distance. The narrower the vertical beam the longer distance achieved before seeing only surface and bottom. The higher the frequency of the Sonar the better the definition of the signal. The lower the frequency the more difficult it is to find smaller targets. These are universal Sonar principles and a good starting point. When selecting Sonar it is important to look at a few variables in order to get the right frequency and achieve the best results. 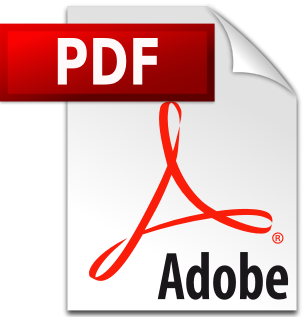 The following looks at various factors to assist in selecting the right system for any fishing need. There are two types of bottoms which affect detection distance: “Rock Bottoms” and “Sand/Silt Bottoms”. On rock bottoms a MAQ Sonar will achieve 10 meters detection for every 1 meter of depth. This means when fishing in rocky bottom water at 30M deep maximum detection distance will be about 300M. On bottom which is sand or silt a MAQ Sonar will achieve 20 meters detection for every 1 meter of depth. This means when fishing in an area with a sand/silt bottom at 30 meters deep maximum detection distance will be about 600M. While these are good guidelines to use, actual fishing results can be very different. Captains have told MAQ they have attained 600 meters detection distance in 3 meters of water on a sandy bottom with an MAQ 90. Additionally a captain using a 22 KHz in only 20 meters depth reported targets detected at 2200 meters. 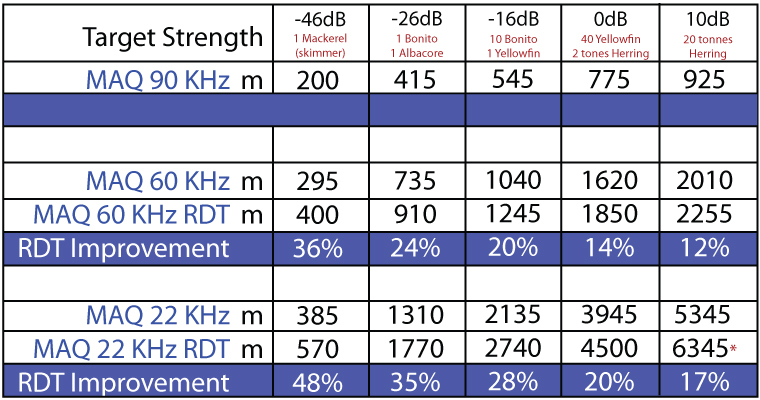 Each fish has a different acoustical signature which is the measurement of their relative target strength. Certain fish display a larger surface, bone, and swim bladder so they are a strong target which means they will be easy to find with any frequency of Sonar. However there are some species which are a strong target but are at a great distance and require specific frequency sonar to find them. Finally there are species which are a very weak target due to size, lack of swim bladder or speed they swim at and require careful consideration. As an example one pelagic species which is difficult to find with low frequency sonar is the Atlantic Mackerel (also known as the Spanish Mackerel) due to its lack of a swim bladder. There are more than 60 types of Mackerel in the world and more than half do not have a swim bladder. Without a swim bladder the only parts of the fish which can reflect sound waves are its bones which are not very large. The best frequency to find Atlantic Mackerel is any frequency higher than 85 KHz. At 90 KHz for example it is possible to see a small school of Mackerel at 300M to 400M in good conditions. The following chart shows detection distance by target signal strength of a MAQ Sonar. It has been created based on a vessel speed of 10kts with sea state condition 3 (waves at 1.5 meters).